2.2 Is A Showerhead Water Filter Really Necessary? 4 What’s In Shower Water? 5 What Is A Shower Water Filter And How Does It Work? 6 What Is A KDF Water Filter? 6.1 What Does KDF 55 Remove? 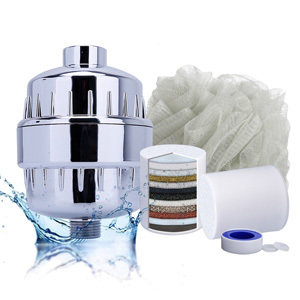 The best showerhead filters for hard water will improve your physical appearance. Hard water is tough on your skin, and it makes it look dry. And when you use it to wash your hair, you dull the hair’s color. 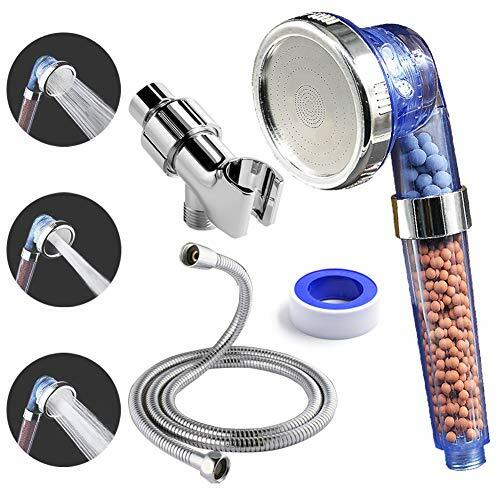 But using a showerhead that softens the water gives you the possibility to improve your skin’s and hair’s look without installing a whole-home filtering system. 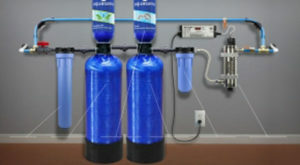 In the first part of the following article, we present our take on shower water filter reviews. The following models will soften your water, making you look healthier and younger. Installing one of these models is easy, and you won’t even need tools to do it. In the second part, we explain why a showerhead filter would make a good addition to your house and the benefits of using one. 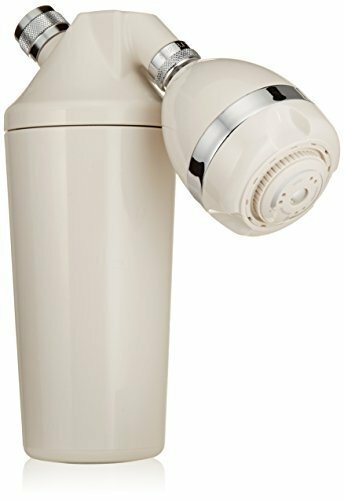 The Berkey shower filter doesn’t come with a showerhead, so you will still be able to benefit from the one you’re already using. This model is very efficient at removing the contaminants in your water, and it will reduce the chlorine in the water by up to 95%. We were impressed by the filter’s longevity. The Barkey shower filter will last for up to a year or 20,000 gallons without needing a replacement. And the best part is, when a replacement is needed, you don’t have to break the bank to buy one. 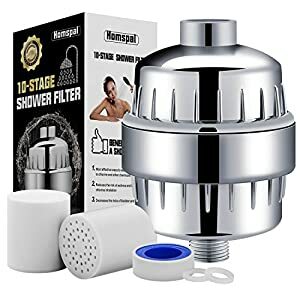 Using this shower filter will not only reduce the chlorine in your water, but it will also reduce the minerals that create lime, mold, and mildew, making your shower easier to maintain. 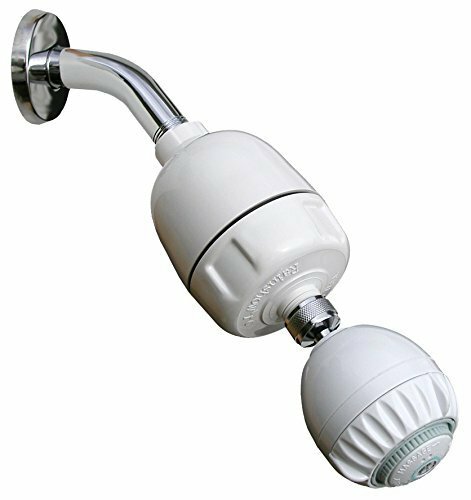 The Aquasana AQ-4100 is a great model for those who are looking for a showerhead that will improve the aspect of their skin and hair. 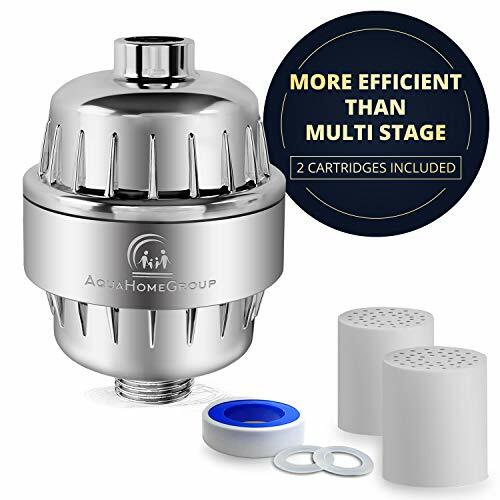 Thanks to its coconut shell carbon filter, the AQ-4100 will reduce or remove the chlorine, lead, pesticides, herbicides, mercury, and iron in your water, making it healthier to wash in. One of the things we liked about this model is that it’s extremely easy to install and prime. 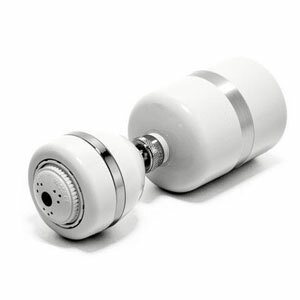 Anyone will be able to install this showerhead and have it working in less than 5 minutes. You only have to remove your current showerhead and replace it with this one, and you’re all set. The showerhead’s wand will increase the shower’s reach somewhat, making it easier to use. As far as the water’s quality is concerned, once you install this model you’ll immediately feel a change. The AquaHomeGroup water filter is one of the most popular models in its price category. This model also comes with a replacement filter cartridge, making it also a cost-effective model. One of the things we appreciated about the AquaHomeGroup filter is that it will really make a difference in the water’s quality. As soon as you start using this unit, your water will be cleaner and softer. Not only that, but the harmful microscopic contaminants in the water will also be removed. This model will successfully remove the heavy metals and other chemicals in your water, making it suitable for children and pets. Another good thing about this model is that it doesn’t change your water pressure. You might even forget that the water filter is connected at times. Replacement Filter Cartridge – This water filter comes with a replacement filter cartridge. The two cartridges will last for up to a year of continuous use. The AquaBliss shower filter is a good model that’s easy to install. This model has a no-tool installation, and you can set it up and have it running in a matter of minutes. The filter doesn’t come with a showerhead, so you can attach it directly to the one you’re currently using. We appreciated the shower filter’s longevity. This model comes with two filter cartridges, and every cartridge can filter up to 20,000 gallons of water. The combined set will filter up to 40,000 gallons of water, which should be enough to last you up to a whole year. As far as the filter’s efficiency is concerned, this model will remove most of the contaminants in your water, including chlorine, heavy metals, bacteria, viruses, and calcium and magnesium which will make your water softer. 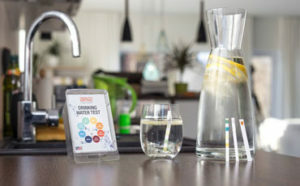 Reduces Chlorine Drastically – This water filter will drastically reduce the chlorine in your water, making it healthier and improving its smell. Can Leak – Several customers complained that the filter can leak at the joints. If this happens, try using some Teflon tape to stop the leakage. Another popular model, the Culligan WSH-C125 has an interesting and efficient design. Unlike the models we reviewed so far, this model uses only a showerhead, and not a separate cartridge to filter the water. In fact, this model also uses a cartridge, but instead of housing it in a different unit, the cartridge is housed in the showerhead itself. One of the things we liked about this model is that it’s extremely easy to install and use. 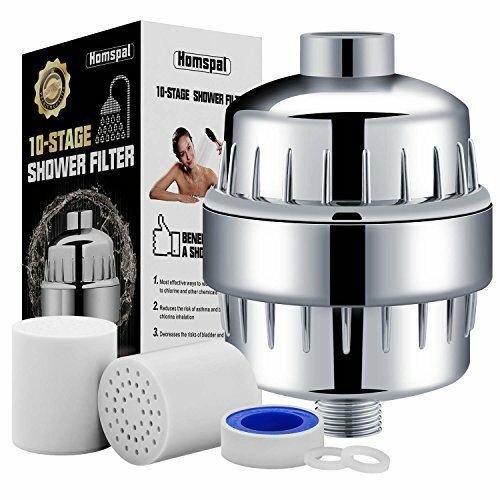 You only have to unscrew the existent showerhead and replace it with the filter and you’re good to go. This model is not only easy to use, but it’s also efficient. The filter will remove the foul smells and tastes in the water, along with the chlorine, heavy metals, and other contaminants that might float in it. 5-Year Warranty – This model comes with a 5-year manufacturer warranty, so you can be sure it will last for a long time. Lowers The Water Pressure – Even though this is a great water filter, you might notice a drop in your water pressure when you use it. 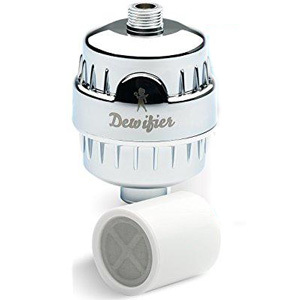 The Dewifier water filter is a good choice for those who want to remove the contaminants in their water and make it softer without spending too much money. This model comes at a great price, and thanks to its longevity, it has a low maintenance cost as well. We liked the water filter’s appearance and utility. Unlike other water filters, this model looks nice, so it won’t lower your bathroom’s aspect. And as far as the filter’s utility is concerned, this model will reduce most of the contaminants in your water, and make it softer at the same time. The first thing you’ll notice when using this model will probably be the absence of the chlorine in your water. Not only will the chlorine smell disappear when using the filter, but your skin and hair will look healthier as well. Good Filtering Capacity – This model offers a good filtering capacity, and it will noticeably improve your water. Might Slow Water Pressure – Using this water filter might lower your water pressure. 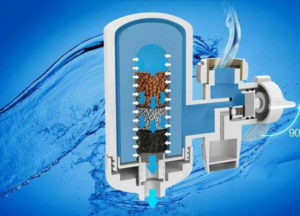 The Homspal water filter is another good budget solution for those who want to soften their water and make it healthier. Despite its low price, this model comes with two filter cartridges, and their combined action can last for up to a whole year, depending on how contaminated and hard your water is. One of the things we liked about this model is that it will really make a difference in how your water feels. Thanks to its effective filter cartridge, this model will filter out most of the contaminants in your water, but it will also make it softer. Showering with soft water will make your skin and hair look healthier, improving your general aspect. Another good thing about this model is that it will noticeably reduce the level of chlorine in your water. The remaining chlorine is so low, you’ll might not even notice it, and it will not affect your skin. The Jonathan Product shower filter is a nice and effective model. This unit uses a patented 2-stage filtration process to remove the contaminants in your tap water. Thanks to its complex filtering process, this model will not only remove the harmful substances in your water, but it will also balance the water’s pH, making it healthier for your skin and hair. The Rainshow’r CQ 1000 is a really interesting model. Unlike most of the units we reviewed so far, this unit comes with both a filter cartridge and a showerhead in separate units. Now, the interesting thing is, the showerhead comes with a massage feature that will make your showers more enjoyable. As far as the filter’s efficiency is concerned, this model will not remove a lot of contaminants in your water. Sure, the filter will remove some bacteria and viruses, most of the chlorine, and it will also make the water softer. 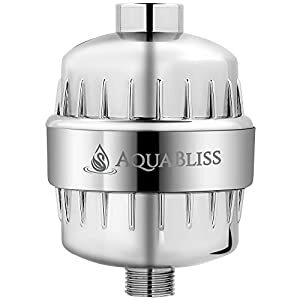 But unlike other filter models, this unit is not effective at reducing or removing the heavy metals, pharmaceuticals, or pesticides in your water. But the Rainshow’r is very effective at what it does. Once you start using this unit, you will notice that your water feels and smells different. The difference you notice is the absence of chlorine, calcium, and magnesium from the water. The water will be softer and the amount of chlorine will no longer attack your skin. The badiJum water filter is a good unit that comes at a great price. This model comes with everything you need for its installation, and it’s suitable for both handheld and fixed showers. 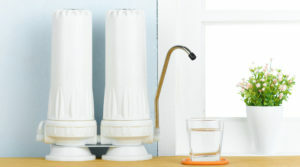 Despite its small price, the water filter comes with 2 filter cartridges. Each filter cartridge can last for up to 8 months, so their combined action can last for more than a year, lowering the unit’s operation cost. One of the things we liked about this model is that it’s really easy to install. And as long as you remember to use the Teflon tape and the silicon seals, you won’t experience any leaks while using the water filter. This model will remove most of the calcium, magnesium, and chlorine in your water. The resulting water will be softer and unchlorinated, so it will be more gentle on your skin and it will make your skin and hair look healthier. Poor Quality Control – Some customers complained that their water filters arrived with missing parts. 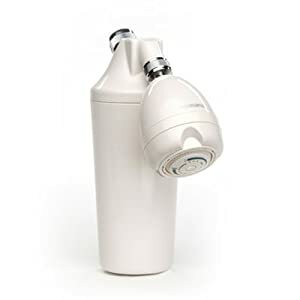 The Captain Eco shower filter is a cheap model that will improve the quality of your water. 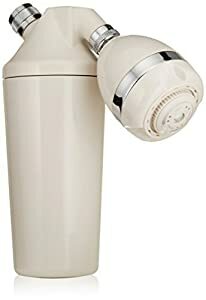 Even though this water filter will not remove most of the contaminants in your water, it will remove most of the chlorine and make the water softer. This model uses a sediment filter that will remove the rust, dirt, and debris that might be floating in the water. The mechanical filter will also remove some of the bacteria and viruses in the water, but it won’t stop the heavy metals and other chemicals that might be affecting it. However, we were impressed with this model’s capacity to soften the water. 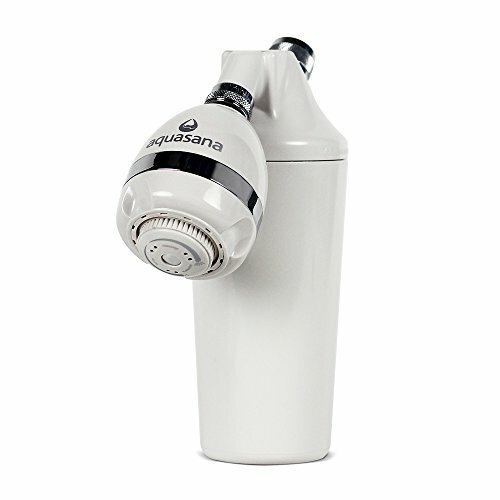 Once you start using this unit, you will quickly notice that the water is softer and not so irritating to your skin. Thanks to its chlorine-filtering capacity, the filter will further improve the water’s quality. We end our list by presenting the cheapest water filter that’s good enough to be included on it. 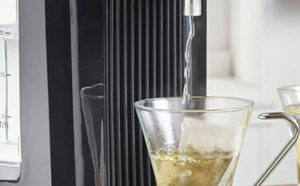 The Luxsego water filter is a budget-friendly model that will improve the quality of your water. 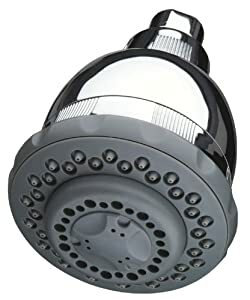 This unit has a nice design and it comes with a showerhead that can use three spray patterns, including a massaging one. One of the things we appreciated about this model is that it comes with everything you need for the installation, including a shower hose. The water filter is eco-friendly, and its high pressure can lower your water consumption by up to 30%. As far as the unit’s filtering capacities are concerned, this model will remove most of the chlorine in your water, and it will also soften it. However, the filter will not block anything else besides rust, sediment, and chlorine, so if you want to get rid of other substances, you should look for another model. When you see how many water filters are available on the market, choosing the best one can seem like a daunting task because just filtering through them can be time-consuming. This is why we decided to create a buying guide to help you with your decision. In the following section, we present the different types of shower filters, how they work, and why you should use one in your home. Showerhead Filters – These models look and act like regular showerheads, if somewhat bulkier at times. Despite their regular appearance, these models will filter out the harmful particles in your water, and they will usually provide a good water pressure. In-line Shower Filters – The in-line shower filters do not come with a showerhead. You can install these models between your existing showerhead and the water line. One of the advantages of using these models is that you can use your existing showerhead, so you can still benefit from the options it offers. Using these units is also less conspicuous, and it won’t influence your bathroom’s aspect as much. 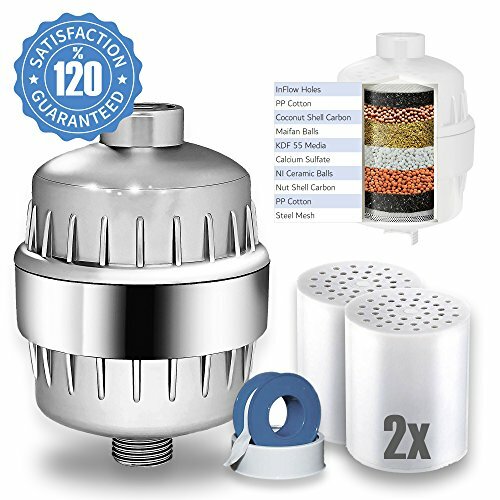 In-Line And Showerhead Filters – These models are the largest of the bunch. You will have to install the in-line unit directly to your water line and the showerhead is attached to it. The filter cartridge is usually contained in the in-line unit, and the showerhead’s purpose is to manage the water pressure. Thankfully, some filter models can slightly improve the shower’s water pressure, so you might not notice any difference when using them. Multi-level Carbon Filters – These filters are the most popular, and they’re very similar to the ones used by other water filtration systems. The filters push the water through different mediums, each of them specially designed to remove some contaminants. Some of the most popular models that use these filtration systems use cartridges that push the water through 10 – 12 different mediums. KDF Filters – KTF filters can be used in conjunction with carbon filters, or they can be used alone. These filters are made out of copper and zinc, and they’re extremely effective against bacteria and viruses. The filters will also remove most of the other contaminants commonly found in municipal water. Vitamin C Filters – Vitamin C filters can also be used with carbon or KDF filters. These filter cartridges are great for removing chlorine and chloramine particles, but they’re not overly efficient at removing anything else. Using this type of filters will also improve the overall aspect of your skin. 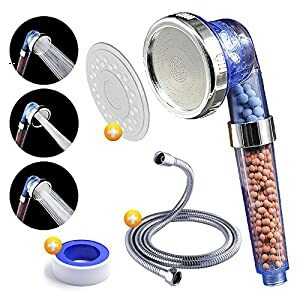 Is A Showerhead Water Filter Really Necessary? Well, if you use a whole-house water filter, the answer is no. On the other hand, if you don’t use a whole-house water filtering system, you should use one for your shower. Municipal water is often dirtier and less healthy than it seems. Just think about it, when was the last time your municipality stopped all the traffic to remove and replace the old pipes in the municipal water system? Chances are, you’ve never seen it done. And that’s because most towns and cities don’t do it. They only replace the leaky and faulty pipes when they break down, and they let the others be until they break down themselves. Now, you might be wondering what the municipality water line has to do with your shower water. Well, as it turns out, the age of the water system pipes can influence the quality of your shower water quite dramatically. One of the things you should be aware of is that many if not most of the water systems were constructed at a time when using lead was not considered dangerous. In fact, the lead was considered a safe and viable solution for water pipes because it doesn’t cost too much and it doesn’t rust. So instead of using steel or other materials, many towns and cities turned to lead for their water systems. As you can imagine, lead is indeed strong, but it’s far from indestructible. That means that a small amount of lead will eventually end up in your water supply. How does showering in water contaminated with lead sound? Not pretty, right? Another good reason to install a showerhead filter is the quality of the water you’re receiving. As we said above, no water pipe is indestructible. And when small fissures appear, the water loss might be too small for the municipality to fix. But all the dirt around the pipe can get into the water supply and eventually end up in your home. And it gets worse. When lead pipes leaked in the olden days, they used iron patches to fix them up. Yes, iron patches. Iron rusts, so the rust might also end up in your water. And last but not least, the problem might not even come from the municipality water line, it might even come from your own plumbing. Now, if your house was built in the ‘80s, the plumbing was probably put in the 80s as well, and most likely nobody bothered to change it since because that’s expensive. Well, your water pipes might be rusted by now, and all that rust ends up in your water supply. 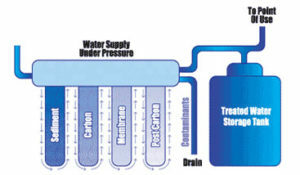 Reduces The Chlorine – Chlorine has been used for treating water all around the world for decades. Recent studies have shown that chlorinated water might not filter out disinfection products completely and that the human body is more likely to absorb those disinfectants during a shower than it is when drinking water. Moreover, the chlorine in your shower water can strip your skin and hair of their natural oils, making them look weak and unhealthy. In fact, when chlorine dries, it will dull the color of your hair and it can even cause some skin conditions. Makes Water Softer – The water you get is usually hard. Washing with hard water will make your skin dry and weaken your hair. Shower water filters soften the water, making it healthier. Washing with soft water will improve the aspect of your hair and skin. Stops Bacteria And Viruses – A shower filter will block most of the viruses and bacteria in the water from reaching your body. 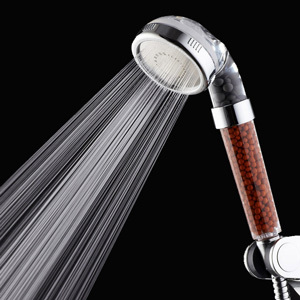 The showerhead itself can sometimes act as a perfect location for breeding bacteria. 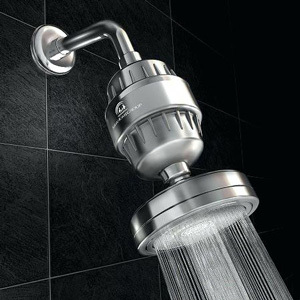 The showerhead is a warm and moist place, so bacteria might prosper in it. Using a showerhead filter will kill the bacteria before they start to reproduce. Reduces The Harmful Chemicals – Certain chemicals can eventually find their way into your water. Substances like pesticides, herbicides, and different pharmaceuticals can be commonly found in water, and they can really be harmful to your health. Safe For Children – Children are more susceptible to developing a condition caused by the inhalation of chlorine vapors than adults. Chlorinated showers increase the chances of a child developing asthma and allergies. Unfiltered shower water can contain many chemicals, debris, bacteria, viruses, and fungi. The water will also contain large amounts of minerals, especially calcium and magnesium, the minerals responsible for lime formation. In some cases, traces of certain pharmaceuticals can be found in the water. Chlorine is used to kill the most dangerous pathogens in the water, and it manages to do so without a hitch. However, chlorine’s killing properties will also affect your skin, especially the bacteria that grows naturally on our skin. Without the bacteria, our skin is susceptible to diseases. The magnesium and calcium are naturally found in the water, and they are not removed during the municipal filtering process because they’re not sensitive to the chlorination. The amounts of calcium and magnesium in the water differ from every town and city, but if you have lime buildups in your bathroom, you can be sure your water contains them. Even though the chlorine in the water kills most bacteria and viruses, some of them might enter the water source after the municipal filtration process, and they will still end up in your water. Some pharmaceuticals, especially pesticides and herbicides, can find their way into your water source. These substances were used in the past to increase the national crop production, and they’ve been slipping through the ground ever since. In some places, they’ve already reached the groundwater, and in other places, they will do so in the future. What Is A Shower Water Filter And How Does It Work? These filters push the water through 10 – 12 different mediums to remove most of the contaminants commonly found in it. The first step is usually a mechanical one made out of cotton. The cotton is very tightly woven, and particles larger than 0.1 – 0.3 microns won’t get through. This medium will eliminate most of the debris, sediment, rust, as well as large bacteria and viruses. The next step is usually a chemical one that will soften the water. With the help of ion exchange resins, the calcium and magnesium molecules will be blocked. Now, the water is pushed through an activated carbon filter. This filter will stop a lot of chemicals, including volatile organic compounds, chlorine, and chloramine. The next steps will further remove the remaining chlorine in the water, and they will also remove some of the remaining toxins and bacteria. These filters are made out of copper and zinc. These metals oppose each other, and they will create a small electrical-chemical charge. While the electrical-chemical charge is unnoticeable for humans, the elements in the water will feel it and will be affected by it. When the elements come within the influence of the process, they will change electrons between them. This is why when the water passes through this filter, the chlorine will change its structure and it will become water-soluble. Some heavy metals such as lead, mercury, and copper will also be affected by the chemical charge, and they will also be removed from the water. Vitamin C filters are some of the best solutions for removing chlorine. Some models will remove up to 99% of the chlorine in the water, but the most popular options will only remove up to 93% of it. These filters will also remove chloramines and sediment, but little else. These filters use tubes of Vitamin C to interact and neutralize the contaminants in the water. However, since not many of the contaminants will respond to the vitamin C’s action, not many of them will be stopped. 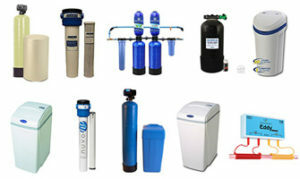 What Is A KDF Water Filter? KDF water filters are used for treating water. These filters can be used alone or in conjunction with activated carbon or carbon block filters. These filters were developed to replace the silver mediums used until recently to remove the bacteria in the water. Silver is an effective bacteria killer, but it’s expensive. Silver is also toxic in large doses, and the risk of it eventually leaking into the water were pretty high, so KDF filters offer a safe alternative. KDF filters are made out of copper and zinc. When combined, these elements will create a small electrochemical reaction. During the reaction, molecules will transfer electrons from one another. The transfer of electrons will produce new elements. Some contaminants like chlorine will change their structure and become harmless, while others will be removed from the water altogether. What Does KDF 55 Remove? To help you figure things out better, we check out some common myths about water softener shower heads! As you could see in our short shower water filter reviews, every model is different, and all of them are good at filtering out certain contaminants. The first thing you should do when shopping for the best shower water filter is to test your water and see which contaminants affect your water source. Once you find out which are the most harmful contaminants in your water, you can choose a shower filter for hard water that will not only soften your water but will also make it healthier to use. Constantly using these filters will make your skin and hair look healthier, improving your physical appearance.